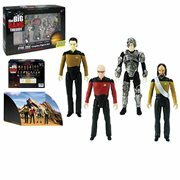 Intellectual Collectibles - The Big Bang Theory Toys! figures, T-shirts, key chains, journals, and other phenomenal paraphernalia are ready for your personal perusal and purchase. 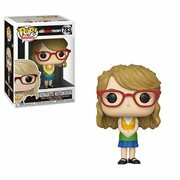 For the nerdy science and engineering majors on your list (and any other fans of great comedy, of course), there is plenty to choose from featuring their favorite TBBT celebrities - Jim Parsons, Simon Helberg, Johnny Galecki, Kunal Nayyar, Kaley Cuoco, Kevin Sussman, Mayim Bialik, Melissa Rauch, and Sara Gilbert. And if string theory is definitely your gig (albeit a very, very serious subject, as you know), you might even find some really extraordinary artwork, throw blankets, stress toys, jewelry, sweatshirts, and more that meet your oh-so-picky (substitute the word "discriminating" in deference to you know who) taste. So, what's keeping you? Sheldon and Amy and the others are waiting! Bazinga! Get your gift-giving going and prepare to triangulate on those super-special presents your hyper-intelligent physicist buddies demand and just can't live without! All the best action figures, vinyl figures, T-shirts, key chains, journals, and other phenomenal paraphernalia are ready for your personal perusal and purchase. 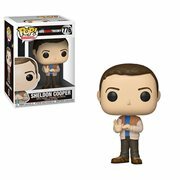 For the nerdy science and engineering majors on your list (and any other fans of great comedy, of course), there is plenty to choose from featuring their favorite TBBT celebrities - Jim Parsons, Simon Helberg, Johnny Galecki, Kunal Nayyar, Kaley Cuoco, Kevin Sussman, Mayim Bialik, Melissa Rauch, and Sara Gilbert. And if string theory is definitely your gig (albeit a very, very serious subject, as you know), you might even find some really extraordinary artwork, throw blankets, stress toys, jewelry, sweatshirts, and more that meet your oh-so-picky (substitute the word "discriminating" in deference to you know who) taste. So, what's keeping you? Sheldon and Amy and the others are waiting! More Fun Than a Lecture on Particle Physics! When one thinks of a truly unique and thoroughly entertaining TV sitcom, the show that pops to mind for many of us is this one, with its brilliant but socially inept physicists, aerospace engineer, astrophysicist Raj Koothrappali, neuroscientist, and comic book store owner in counterplay with an adorable and also intelligent microbiologist and everyone's favorite beautiful and free-spirited waitress and aspiring actress, Penny. There's simply nothing else on television that even comes close to it. From its shaky initial ratings on CBS in September of 2007, the series has come a long way, winning at least 56 awards from 216 nominations (including Emmys) and accumulating a dedicated fan base that will probably watch the reruns forever. Chuck Lorre Productions and Warner Bros. Television have definitely earned their PHD with this marvelously entertaining and totally one-of-a-kind production. Is the Fun Really at an End? 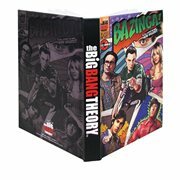 Some diehard TBBT fans may be concerned that with their beloved TV series coming to an end in 2019 with final Season 12, there is no more fun and hilarity to be had from their Thursday night must-see program. Not to worry, genius! Keep the good times rolling with highly entertaining toys and touching memorabilia from your friends at Entertainment Earth. 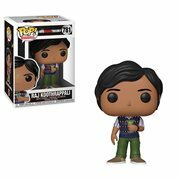 We'll continue to scan the galaxy for all the Bernadette and other TBBT-related merchandise we can find, and we'll make it all available to you and experimental physicist Leonard right here at your one-and-only one-stop pop culture headquarters!